Very good chocolates and super friendly!! Service was great, and the chocolate and fudge was delicious! Small shop but smells great and is super cute! The chocolates and the caramel are delicious. We'll be back to try more things. Very friendly people who will explain and talk chocolate with you or get you out quickly if you need to. Delicious hand crafted confections expertly made. Great variety for almost anything you want and reasonably priced for what you are getting. Friendly people, fantastic selection of goods. I will definetly return. Thank you,, NIFT! Adorable shop! Will definitely be back. I walk past every day and I never would have wandered in. Turns out, there are lots of things inside that I'm interested in! I bought baking chocolate and vanilla at the supermarket last week -- I wish I had known about this place sooner. I'm grateful to have Spindler on my "map" next time I need baking supplies/gifts. I had been in before, and was delighted that he remembered me! It was sweet to treat myself and my partner, especially as we’re recuperating from a busy summer season. Lovely! Fantastic undiscovered gem close to Boston and accessible to outlying suburbs. Very friendly and helpful staff, delicious chocolates and amazing variety of some hard to find baking ingredients. Friendly staff, delicious chocolate. Likely would not have bought there without the Nift, but now I'm already planning to go back! The customer service and chocolates and caramels were amazing!! great local chocolatier with samples to taste at the front! A sweet space literally and figuratively! The staff are exceptionally nice and knowledgeable, and the confections are THE BEST!!! Great customer service and the owner was really nice. He had multiple samples available for people to try out and was really knowledgeable about his candies and chocolates. The person at the front went out of his way to help me select some chocolates, and they were delicious! AMAZING CARAMELS! Super friendly customer service. First time here - loved the store. Will definitely be back. Really helpful staff and delicious samples! A wonderful owner operated shop. Great people and zero. Super friendly and helpful staff. Huge selection and various interesting speciality items. Delicious "cups", i.e., peanut butter cups - but in all nut butters. Almond and hazelnut yummy. Loved the staff - friendly and informative and you felt welcomed as well as their pride in their product. Loved the free samples so you could really get what you liked most. Spindlers is a small operation that uses quality products. It was a pleasure to discover a new chocolate place in North Cambridge and I wish the, the best. The treatment was very courteous and helpful, and the chocolates delicious. All the staff was kind and attentive. I appreciate good customer service! The sweets are tasty! I forgot my credit card and cash or I would have bought more. It does not take the credit card from your phone. This Nift was great because I had never heard of the business beforehand, and now I definitely plan to go back. Who knew there was a small, independently-owned chocolate shop here in Cambridge! Awesome place! I had never heard of it until I received a nift gift there! What a great shop! Love the variety nut butter cups! Will definitely be part of my regular chocolate rotation! A great local store! They have delicious candies and treats. The staff was very nice. Super-friendly people making amazing sweets! Great service ! Chocolate is delicious. Would definitely go again. Really cute store and high quality chocolates! Great selection and great, friendly service! Spindler Confections is an adorable little store that has all your chocolate needs. The owner is very nice and gives great advice for narrowing down your options! I highly recommend it! Very friendly staff. Chocolate was very delicious and especially loved the chocolate pretzels! The selection is a little limited but everything was carefully crafted. NIFT is such an awesome experience. We have lived in our currently place for almost two years and didn’t know Spindler Confections was right down the street. We loved their chocolate and caramels. We will definitely be back! A wonderful shop of homemade chocolates and other confections worthy of a very special gift to a friend or partner. Such a great chocolate shop with super nice people and a delactable selection of super thoughtful sweets! Store employees were friendly and the chocolates were lovely! This is the most adorable chocolate shop! They have a HUGE selection of delicious truffles (if you like scotch try the scotch truffle it has a FANTASTIC smoky flavour). They were super warm and welcoming and I really had a wonderful time perusing the chocolates (I went a little overboard and got around 15 truffles). great store--delicious handmade candies/chocolates as well as great local products like Jam Sessions jams. I particularly recommend the pate de fruits and the peanut butter cups and anything caramel. They have samples! The customer service was excellent, and I enjoyed the chocolates. wonderful small store with delicious candy and other items. will definitely go back. They were extremely friendly, offered samples (which prompted me to get more than I initially intended), and the candies are incredibly good. Cozy and delicious shop with friendly staff! Thank you!! This is a really nice store. They have a wide selection of chocolates. I got some chocolate covered pretzels and Maple treats. Very good. Great gift would love to recommend others!! Amazing products that are very artfully displayed. Very friendly and welcoming people working there. Having the Nift motivated me to try out Spindler's confections for the first time. They have great local delicious products and treats. On Spindler: Great treats, staff, and location. 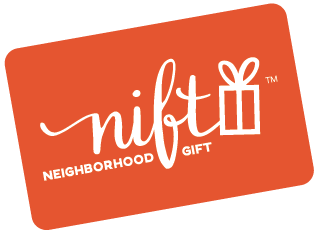 Was very happy to try out Nift there and found the use of the giftcard easy as well (thought the phone email link didn't work, but the company was able to look me up online. Going back for holiday treats in December. It was fast and easy to use. Thanks! The store owner was so friendly and the shoppe was so cute and tidy and the chocolate was delicious as well as the caramel. Would love to visit again. I’ve been meaning to try spindler’s, and nift gave me the push I needed to go... and I will DEFINITELY be returning! What a cute shop! And the owner was so kind and entertained all of my questions about his business. Not to mention, their chocolates are to die for. Sweet deal! Wonderful place with delicious treats that I didn't know of, so glad to have found it! Their chocolate is made in house and delicious! Everyone is super friendly and helpful from the moment you walk in. Lovely staff, excellent customer service! We'll be back for gifts! Friendly atmosphere and employees. Lots of samples. They have a cute little store, they make delicious and reasonably-priced candy on-site, and the owner and employees were very pleasant to talk to. I'll definitely be going back! Adorable store with fascinating candy history, generous samples, friendly staff, and delicious sweets! I loved Spindler Confections and will definitely be back! These chocolates are delicious, especially anything containing caramel, and the tea-infused ones! The store was great, lots of variety! I have lived in Cambridge my whole and didn't know about spindlers. I would go again and recommend it to friends. Delicious chocolates, and lots of other yummy items in the store. Great customer service. very helpful staff. cool place and i'll definitely be returning. Delicious, great retail shop, owner personable, worth the calories !! Mr. Spindler was kind and friendly, and the chocolate and other provisions looked fresh. I would definitely come back if I were looking for a sweet gift for someone. Prices looked reasonable for what they were. Very friendly staff, will definitely be back for future gifts! Thank you! The staff is super friendly and their chocolate is great! Wonderful products. Very helpful and friendly salesperson. It was a lovely shop--had walked by so many times but never been in, great to have the nift As an excuse to try out a new place! Thanks! It was a nice opportunity to learn about a local business I didn't know about before. They were very friendly and had a good variety, appealingly presented in the little storefront. I'll be looking for opportunities to buy gifts from here in the future! Lovely! They also sell taza chocolates which are my favorite. The owner was knowledgeable and kind. Great selection of delicacies! Delicious chocolates with unique flavors. Friendly and helpful sales person. Great chocolates. You can't go wrong here. Delicious chocolates! Great selection of flavors, and free samples. Also, the owner was nice enough to honor my nift certificate even though it was a couple of days out of date. Will definitely be back. Cool neato selection of mostly chocolates and some other candies. ALSO, uber overpriced salt grinders. This is an adorable shop! So many local, unique goodies. I wouldn't have known about the place if not for nift, but now would definitely go back! I just had some very nice Ice Cream from Spindler Confections. A lovely little shop, where they make their own chocolates and sweets. When I walked in, I was greeted by the smell of wonderful chocolate. I took home some sea salt camels and a chocolate dipped pretzel, that I'm looking forward to sharing with my family. Chocolates are amazing, and service was very friendly! Very friendly service and lots of nice items to choose. Great place to pick up a gift or treat yourself! I'm so excited to have gotten to try this store! I don't often have the opportunity to treat myself, so this was lovely. The staff is friendly and their treats are amazing! The shop was awesome! So many delicious treats from local makers and smaller companies. Nice to have some money to spend there. Cute little candy shop that I never would have stepped into without this Nift card. Delicious candy and also some knick-knacks like candles. Very friendly owner who provided information on candy cooking classes as well. Loved the gift and looking forward to enjoying and sharing the treats I picked up at Spindler. The chocolates were wonderful. The flavors really special. I would recommend Spindler's to everyone. The friendly staff were also knowledgeable and made good recommendations. The owner was very nice, provided sample to us, and answered our questions. We'll be back! Great local candy maker for yourself or gifts! The sales associates/owner were really helpful in picking out goodies and the chocolates are delicious! Wow! This place was awesome and right around the corner from where I live. Never even knew it existed! We are super excited to go back, and will likely take advantage of one of their awesome chocolate making classes for a friends birthday that is coming up!!! Such yummy treat! Fantastic caramels and chocolates. Passionate ownership and great service. So glad I finally made it here! Just talking it through with a friend and we might head back together sometime this week. Great looking chocolate (haven't tried it yet), cool variety, and very friendly staff! I'll definitely be going back! The candy was DELICOUS and the store smells amazing. The staff was very personable. I will be sure to go back again. The chocolates I purchased were delicious. The proprietor was incredibly friendly and helpful. I love the chocolates!!! Absolutely delicious. And the shop is adorable, very inviting. Thank you so much for this chance to try them. I shall return! Thanks so much for the Nift Gift, which was VERY convenient to redeem as the shop is around the corner from where I live! I had a wonderful time talking with Jeremy Spindler, the owner of the business, and browsing in a leisurely way around all the merchandise before making my choice. I used my gift for a custom selection of housemade chocolates and made a great connection in my own neighborhood. I followed up with a visit to Curio, the spice shop a couple of doors down! We got some delicious treats at a candy store I didnt realize was in our neighborhood. The cherry cordials were amazing! Spindler's was great. So happy to have found a local shop and meet the owner/confectioner P.S. Trying to rate him a 5, but it seems that none of the buttons are able to remain selected. While Nift is a great idea there seems to be WAY TOO MUCH technology. great neighborhood place with excellent chocolate! The people working there were friendly and informative- can't wait to go back! Great little shop... Friendly sales help... Yummy treats! This introduced me to a "sweet" new local shop. I liked meeting the owner/candy maker & I look forward to gifting the sweets to my Mom tomorrow on Mother's Day. Thanks for the nift!